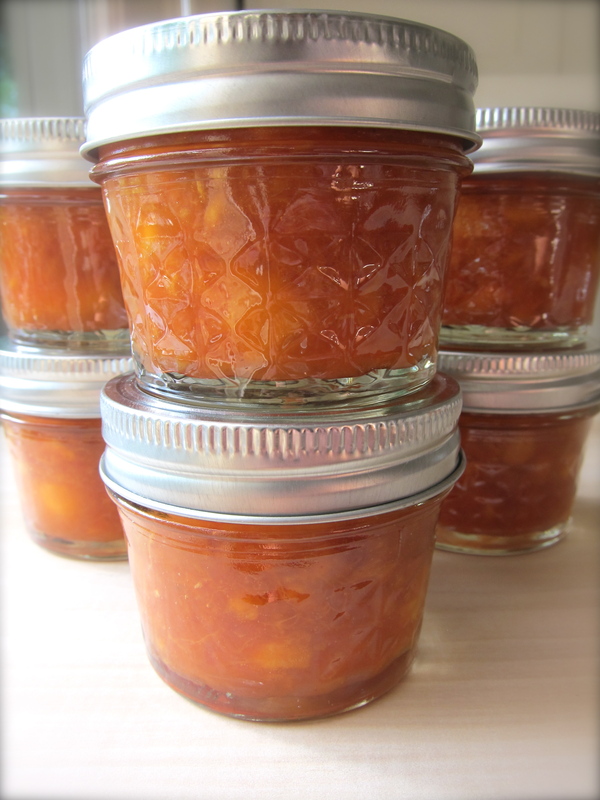 Eat a peach, raw, jammed, in a pie...just eat one. It has recently come to my attention that on the Allman Brothers Band CD, “Eat a Peach” there is a great instrumental piece called “Mountain Jam”. 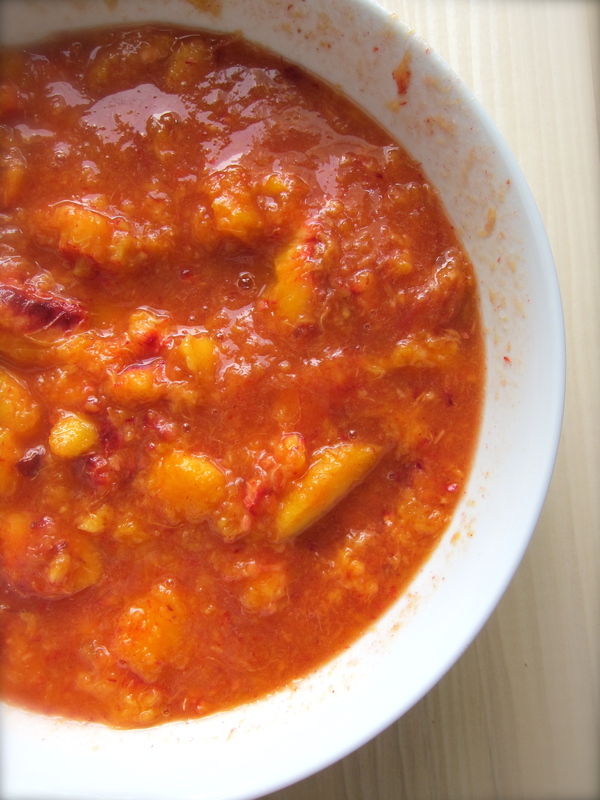 It is 33.39 minutes long, which is about the time it takes to whip up a simple peach jam recipe, not counting the processing time! So with the music playing I got to jammin’ yesterday afternoon. 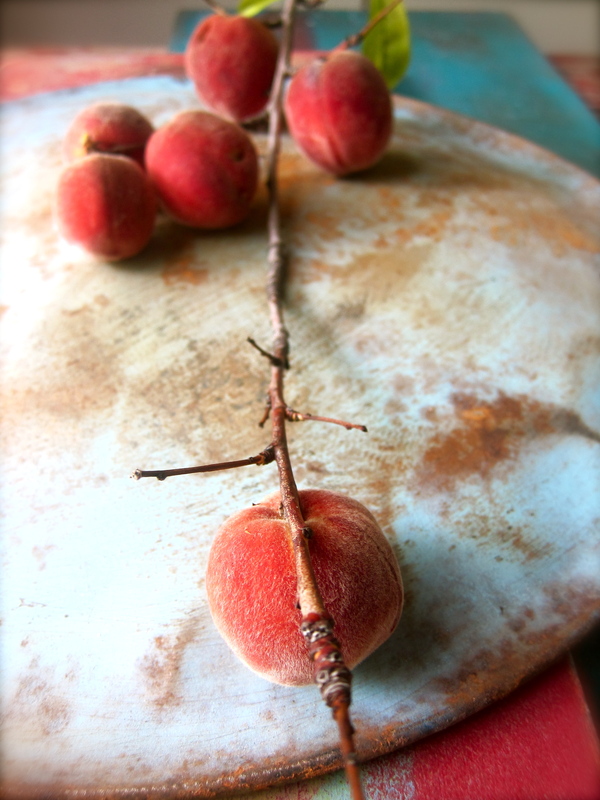 These very local peaches are another “foraged” fruit from my neighborhood. 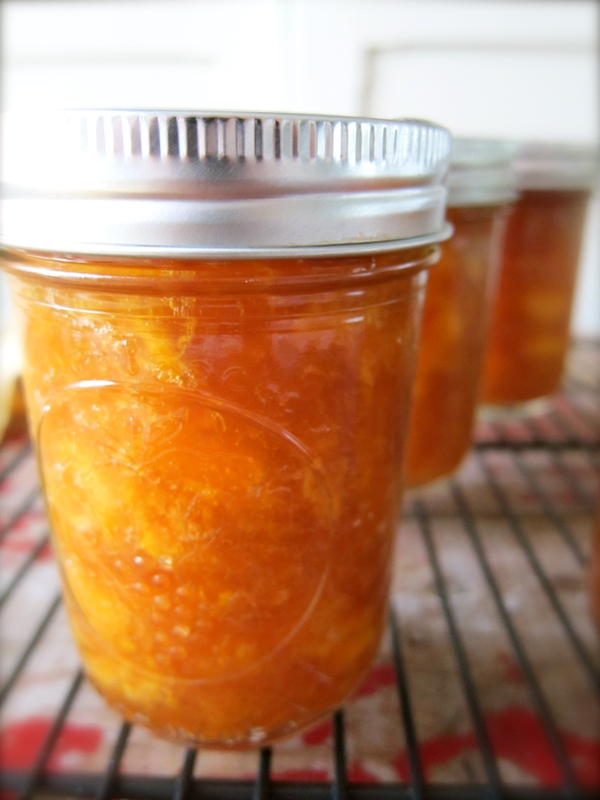 Four cups of peeled & seeded peaches crushed. 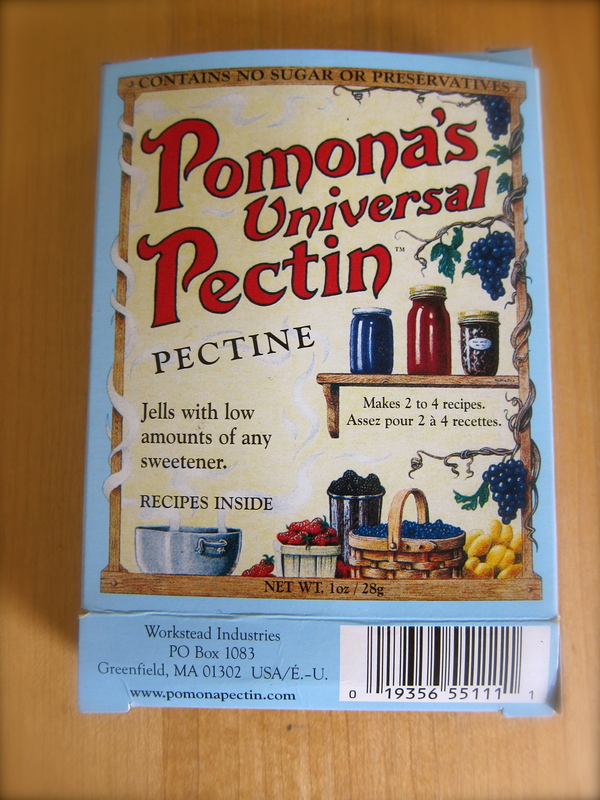 This is the best pectin I have ever used…I found it at Whole Foods, but can be ordered on line. Just google the name & you will find the email address. 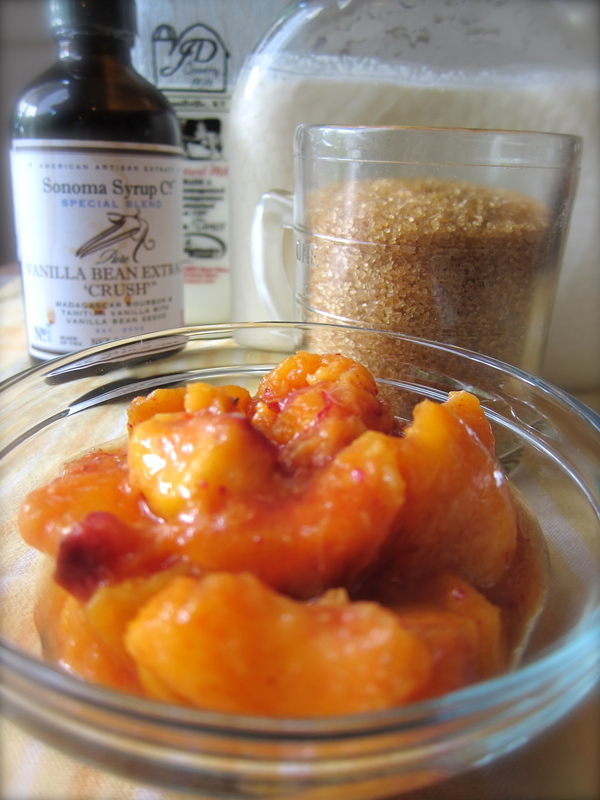 Pomona’s Universal Pectin (what a great name)..works with low amounts of sweeteners. I like that very much. 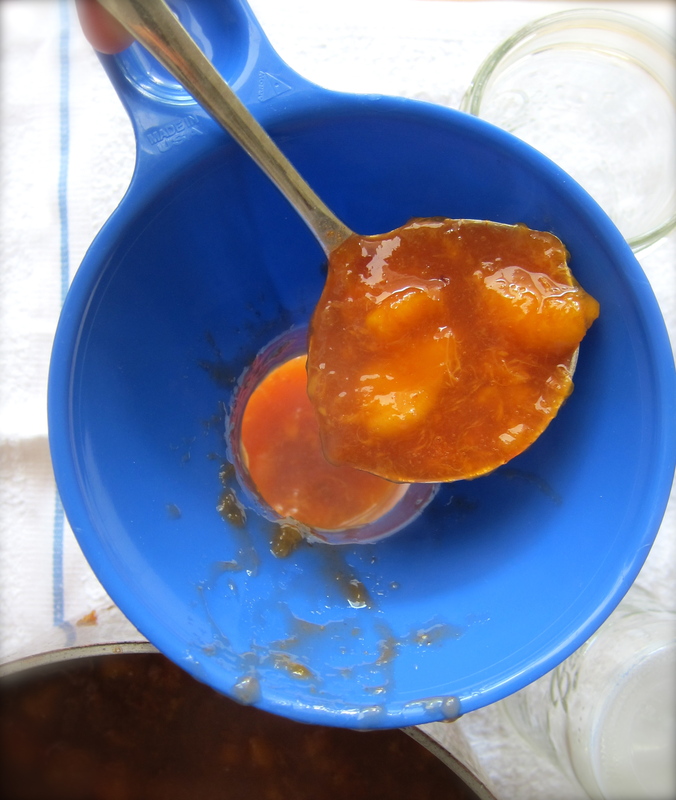 Other pectin products I have used always call for so much sugar that the taste of the fruit for jams & jellies is completely lost. 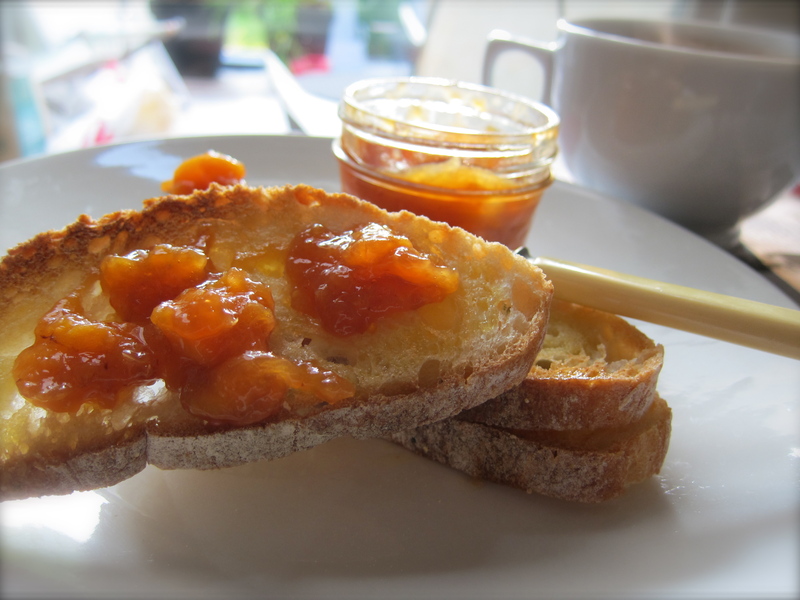 With Pomona’s you can make a great batch of jam or jelly with 2 cups of sugar so you can still taste the wonderful ripe fruit flavors. 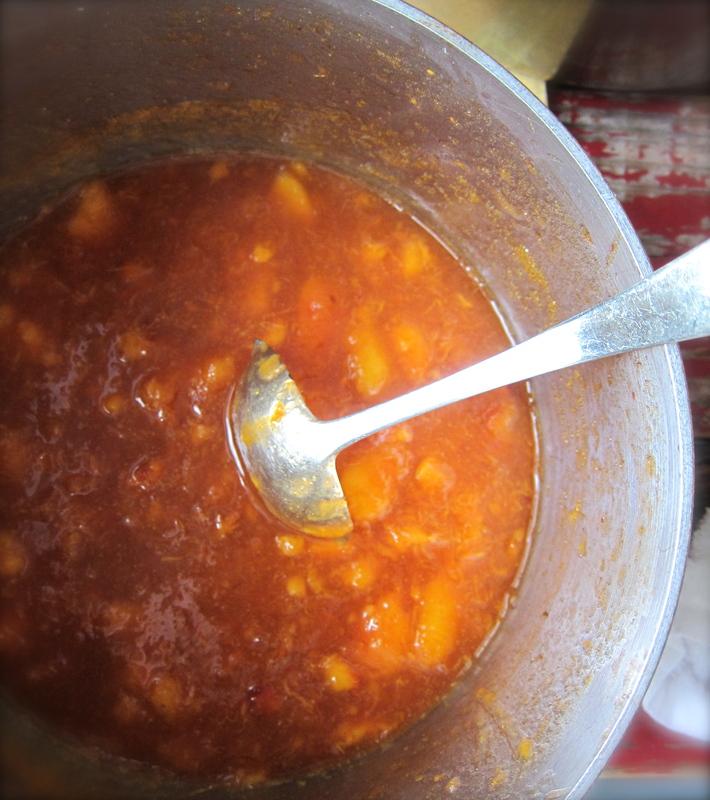 Crushed peaches coming to a boil…. 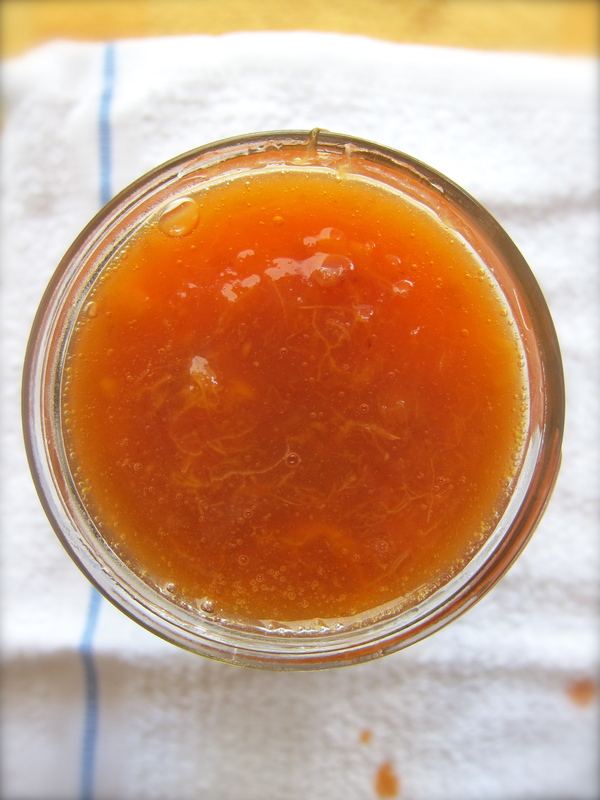 I made my jam with just one cup of turbinado sugar. 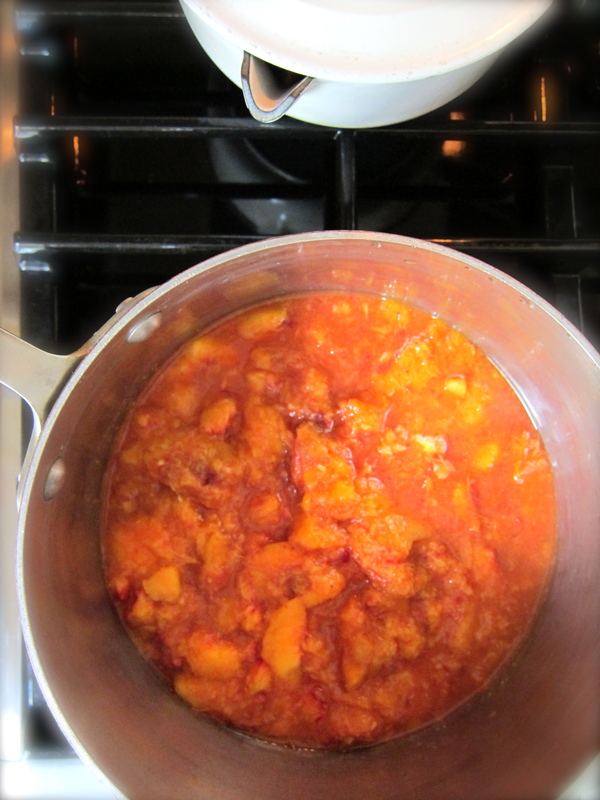 Peaches with pectin & sugar added, cooked down and ready to be jarred. 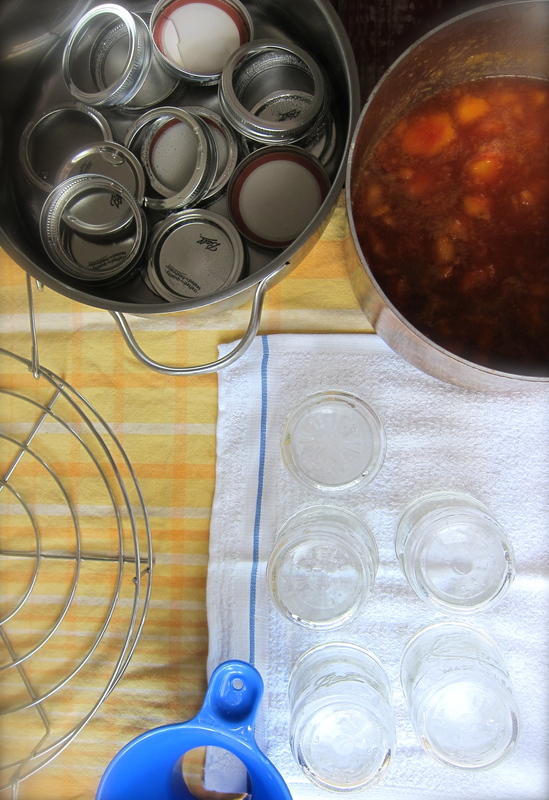 Canning gear ready to go…. 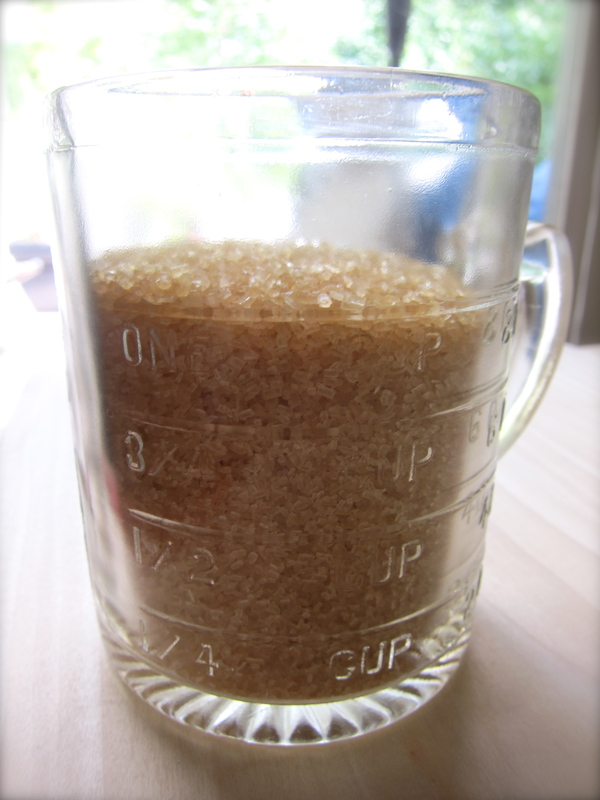 Jars have been sterilized, lids as well…. 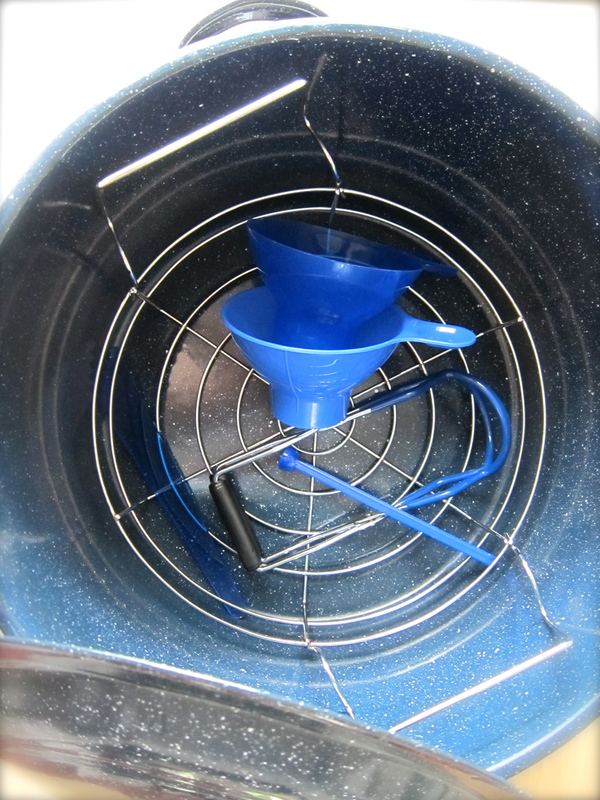 Processed, cooling down….lids making that little “ping” sound that means they are sealed properly. 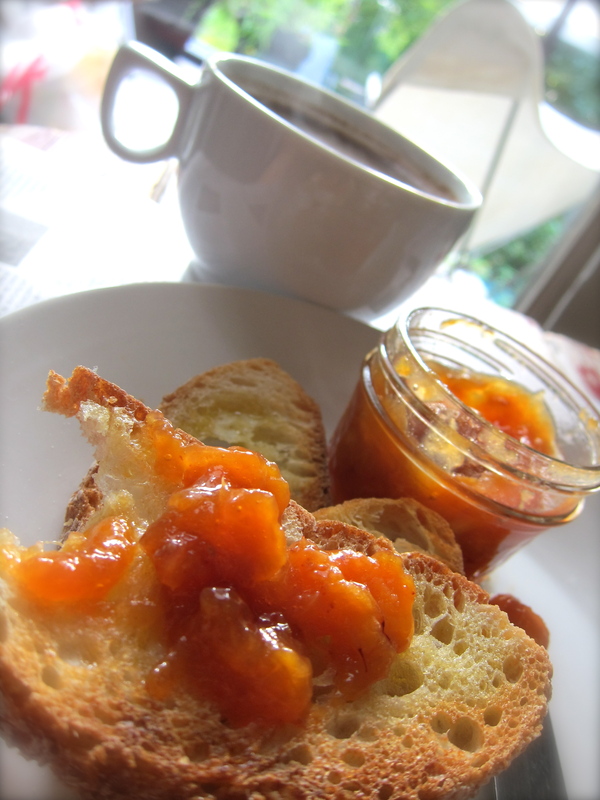 Hot milky coffee, buttered toast & peach jam. 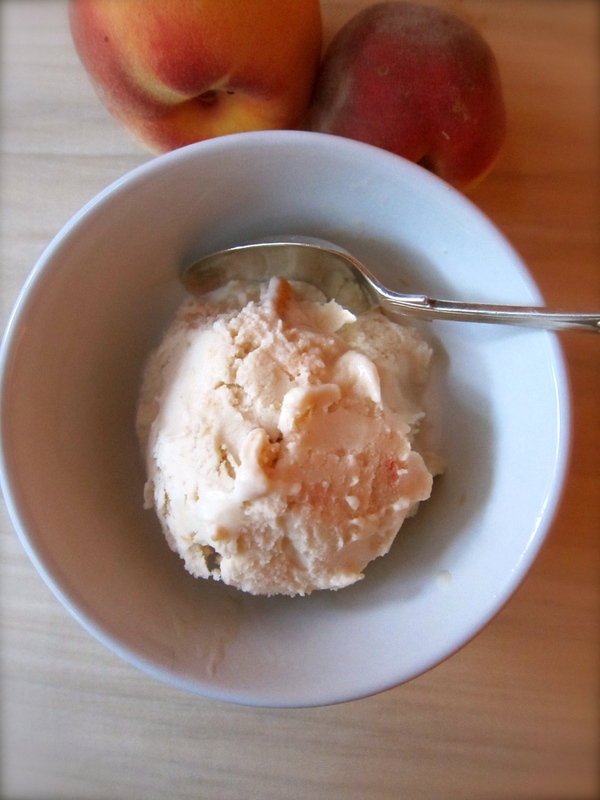 Last night I also made some peach ice cream with some of the peaches that did not end up jammed…It was a bit decadent with whole milk, buttermilk & heavy cream…1.5 cups each, some vanilla to taste, 1 cup of sugar & about 1.5 cups of the crushed peaches that were left over. 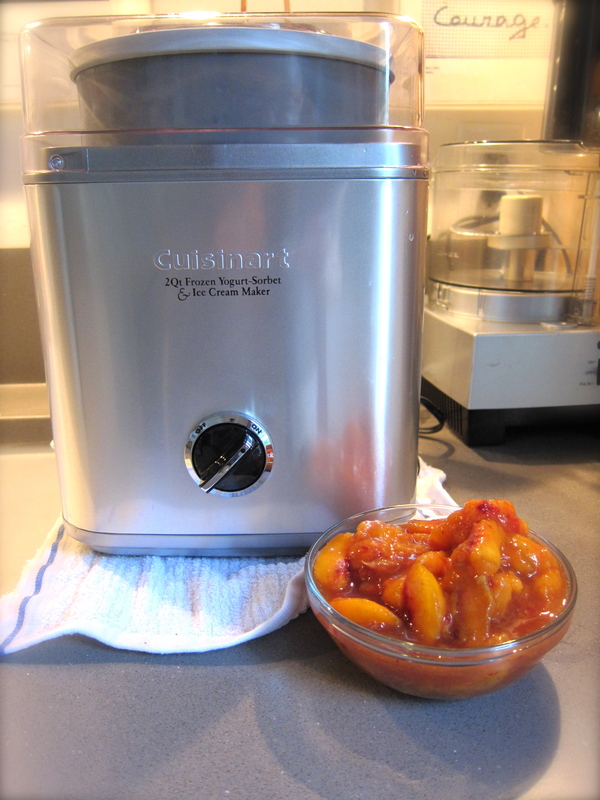 This simple recipe and my 2 Qt electric ice cream freezer made it so easy…after all that jamming I was hot so I had Homemade Peach Ice Cream for dinner! 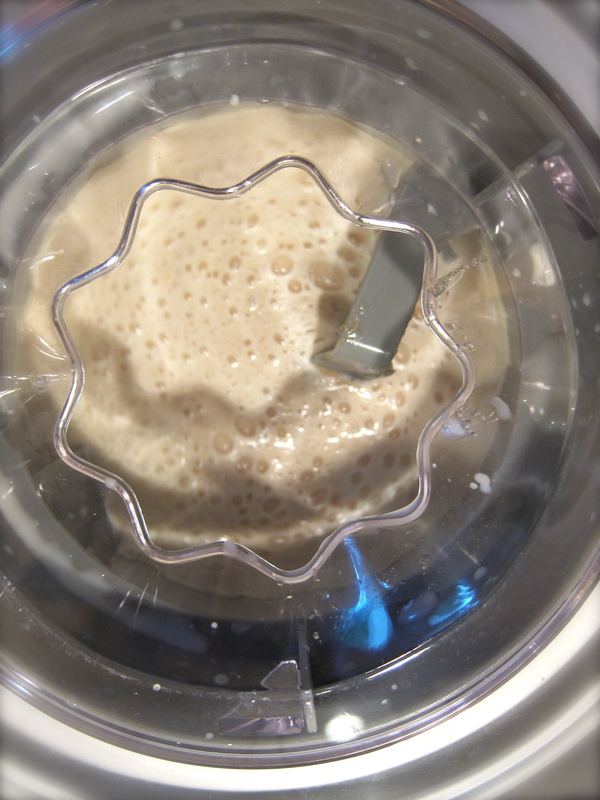 …a really good ice cream freezer…. the peaches this summer have been superb. 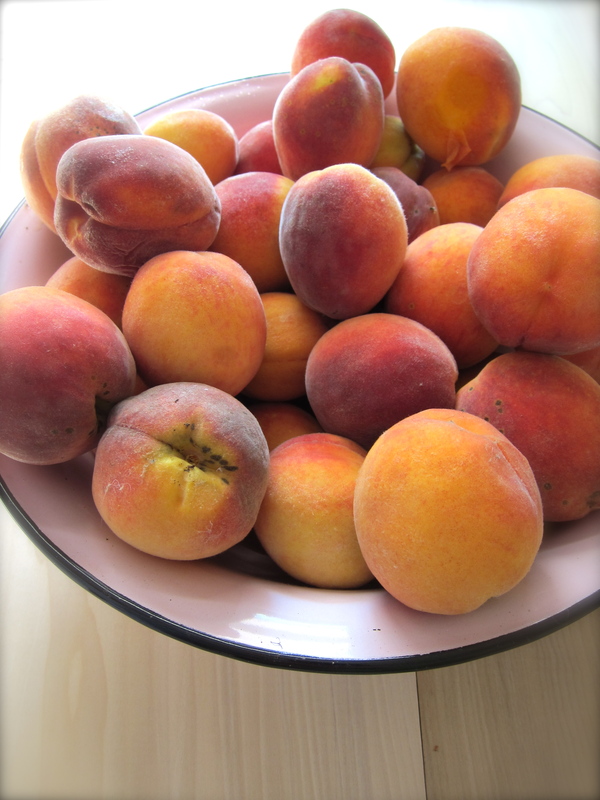 I haven’t put any up yet, and right now I want your buttermilk peach ice cream for MY dinner. such a pretty post, Terese! I don’t know what I’m going to do if I can’t just move in with you! This is unbelievably beautiful.